Posa showing the full name list of players for 2018. KUCHING: Football Association of Sarawak (FAS) president Dato Posa Majais has high hopes for all the 24 players to shoulder Sarawak’s challenge in the Premier League. The Crocs are targeting a quick return to the Super League, and the FAS chief believed coach Ian Andrew Gilan had assembled a squad that is capable of challenging for promotion spot in the second-tier league. Posa also hoped that Gilan can turn around the Crocs’ fortunes in the Malaysian football scene. “To achieve the similar feat back in 2013 might be a challenge but we aimed for a good outing and to show that we are giving other teams a strong challenge,” he said. At the end of the 2012 season, Sarawak were relegated to the second tier but made a dream return to top flight after winning the Premier League title in 2013. With three imports – Mateo Roskam, Milos Raickovic and Nebosja Marinkovic – already in the squad, Posa said FAS is hoping to sign another player on loan from Perth Glory Australia, using the Asian players quota. “FAS is still waiting confirmation from Perth Glory, and if everything goes well, we will see him coming down to join the team soon,” he added. Sarawak also signed seven local players; Benedict Martin, Bobby Gonzales, Mohamad Firdaus Muhammad, Mohd Iqbal Mohd Suhimi, Mohd Sabree Mat Abu, Muhammad Muzaimir Abdul Hadi, Shaiful Wazizi Mohamad and Shazalee Ramlee. 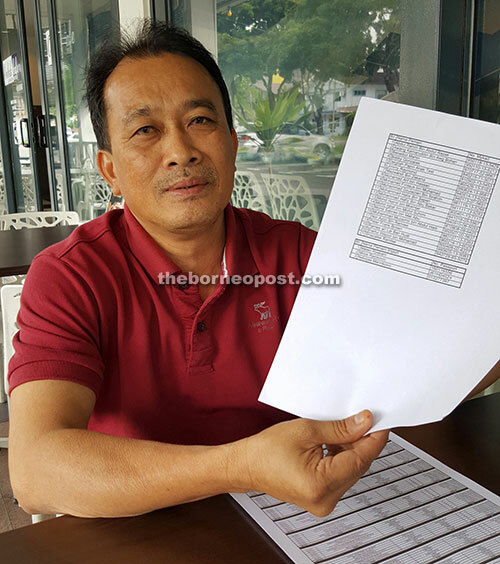 Other players who were retained and absorbed from the President Cup squad are Abdul Rahim Abdul Razak, Awang Kamaruddin Awang Bohan, Dalglish Papin Test, Jimmy Raymond, Mazwandi Zekeria, Mohammad Alif Hassan, Mohammad Dzulazlan Ibrahim, Mohammad Hafis Saperi, Mohammad Hafiz Abu Bakar, Mohd Hairol Mokhtar, Nor Azizi Ramlee, Peter Frank Brown and Ramesh Lai Ban Huat. Sarawak are on its pre-season tour in Peninsular Malaysia before the Premier League kick-off on Feb 2.